Resources for increasing your print shop’s profitability, news about printers’ innovation and an award for Avanti’s work with BCC. Insights for increasing the profitability of your print operations; news about how our customers are innovating; and updates about Avanti’s people, products and team. Listen to how Armando Pena of The Printing and Marketing Group describes the challenges they faced, and the tangible benefits they saw, as a result of adopting a Print MIS. 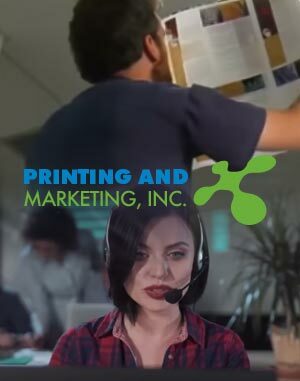 With 17 full-time employees (and seasonal employees), this California-based family-owned print shop needed to grow business while keeping a high standard of service for its demanding customers. If you’re unsure whether adopting a Print MIS is worth it, you’re in good company. 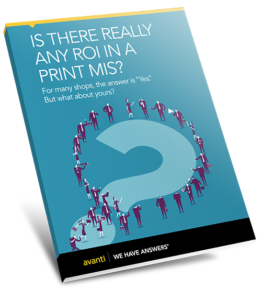 Download this 14-page eBook to discover how owners/operators of print shops like you achieved an ROI from implementing a Print MIS. What's life like with a PRINT MIS? What does it really mean to have a Print MIS in place? 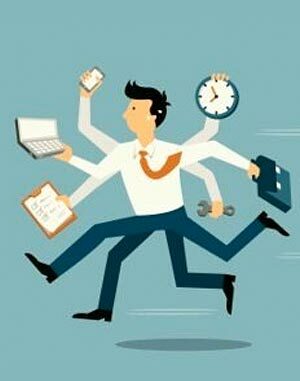 What impact does it have on your day-to-day operations? What are the good and the not-so-good sides of a Print MIS? Join us in ‘A Day in the Life of an Automated Print Shop’. This fast-paced 60-minute webinar is the closest thing you’ll find to getting a hands-on feel for what it’s like to have a Print MIS in your shop. 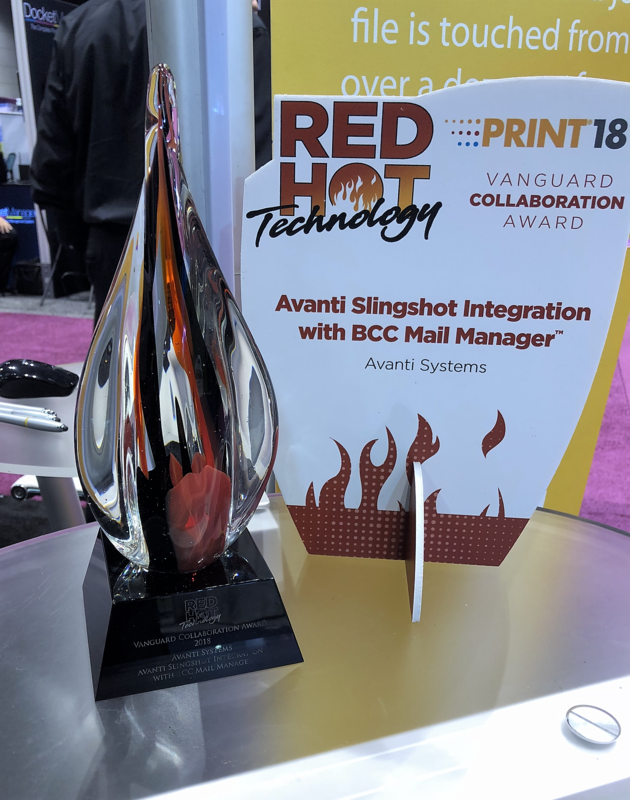 At PRINT 18, Avanti was presented with the Vanguard Collaboration Award for the integration of its Slingshot product with BCC Software’s Mail Manager™. This is the first integration with BCC Mail Manager™ for any Print MIS system and creates the industry’s only end-to-end automated Direct Mail Management solution. If you work with BCC Software's Mail Manager, check out the brochure for details. You received this email because you are subscribed to NewsBrief eNewsletter from Avanti Update your email preferences to choose the types of emails you receive.